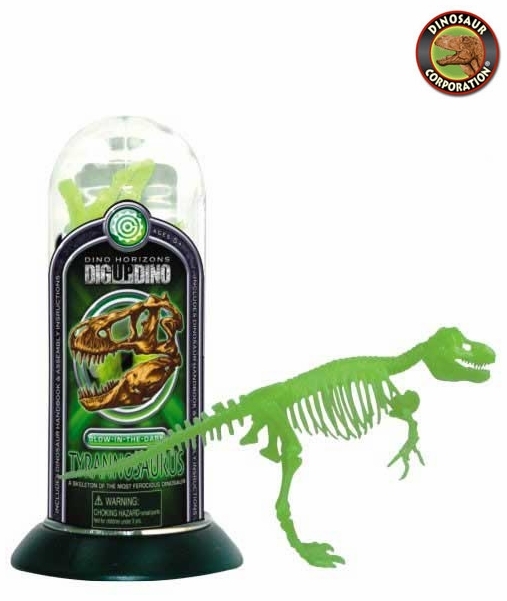 3D Glowing in the dark T-rex skeleton is a realistic dinosaur toy, perfect for display or just enjoying I dig dino bones game. * Collect all six prehistoric dinosaur glowing skeletons! 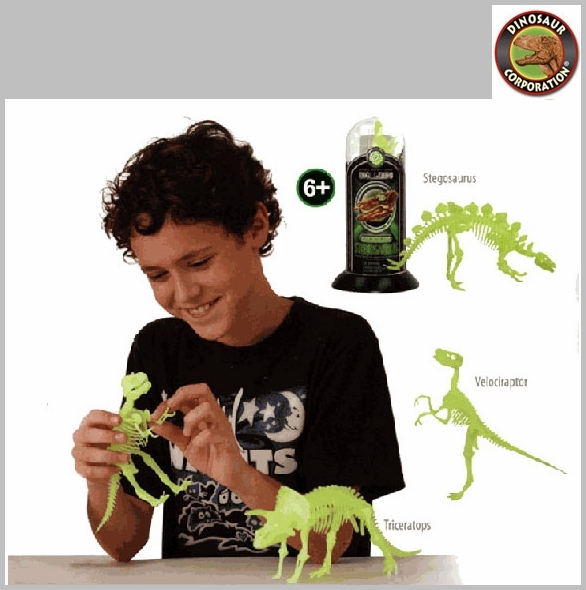 Choose from T-Rex, Velociraptor, Pteranodon Stegosaurus, Triceratops and Parasauropholus.